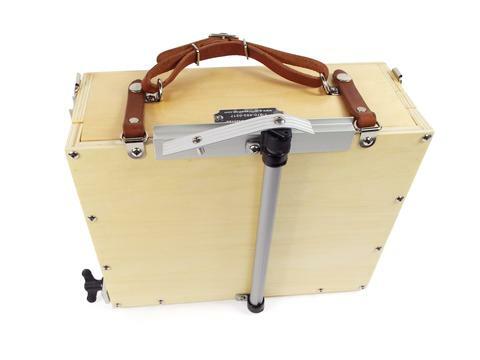 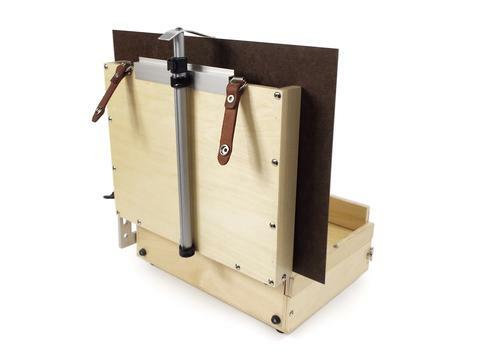 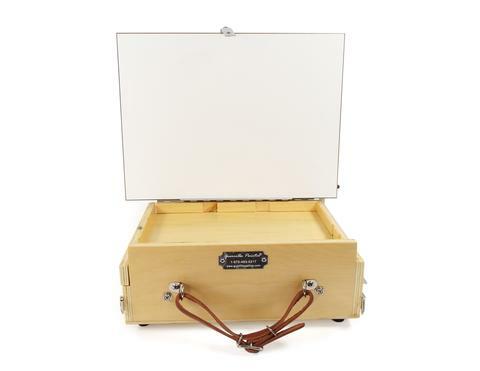 The Telescoping Easel™ adapts the Guerrilla Box™ or Hinged Front Guerrilla Box™ to allow it to hold canvases or panels that are larger or smaller than 9x12 inches. 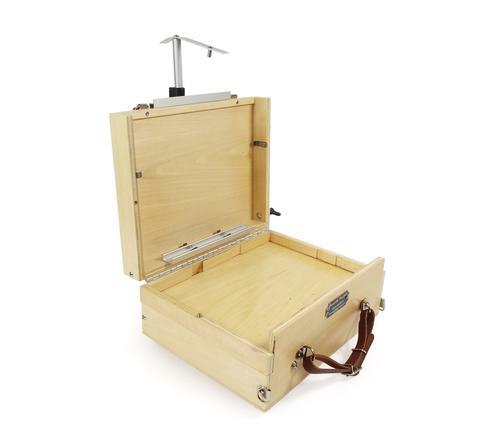 Includes a removable lower shelf that hooks onto the lid clips, an upper shelf on the top of the lid, and the mast that attaches to the back of the lid using existing screws. 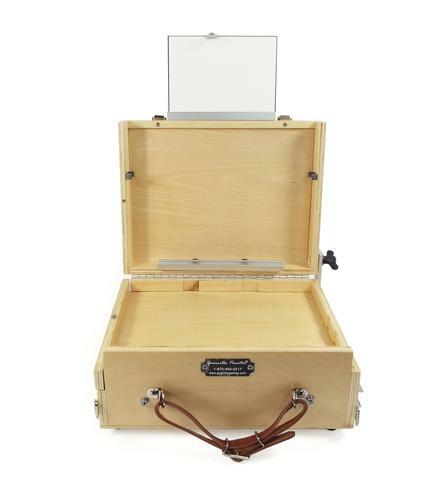 For use with the original 9x12 Guerrilla Box™ or Hinged Front Guerrilla Box™ only (see related products).